Catering butcher Yorkshire Dales Meat Company has appointed the son of founder Stephen Knox as its new Managing Director. In the decade since being established in 2004, Yorkshire Dales Meat Company has gone from selling meat at farmers’ markets to supplying supermarkets and some of the best-known restaurants and hotels in the North of England. Now, James Knox is to lead the business, stepping up from his role as financial director. He studied Business Studies at Lancaster University before learning the trade working for a meat and seafood importer and exporter. 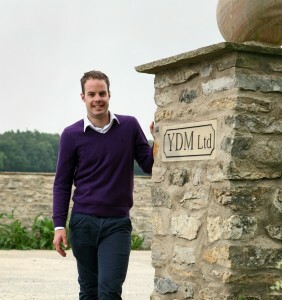 He joined Yorkshire Dales Meat Company as factory manager in 2007. “We were all very keen that James didn’t just stride out of school and into Yorkshire Dales Meat Company at a senior level, as it wouldn’t have been right for him or the business,” said Stephen Knox.